On a recent trip to Los Angeles, my first in quite some time, I was determined to get to In-N-Out burger to satisfy a long overdue craving. 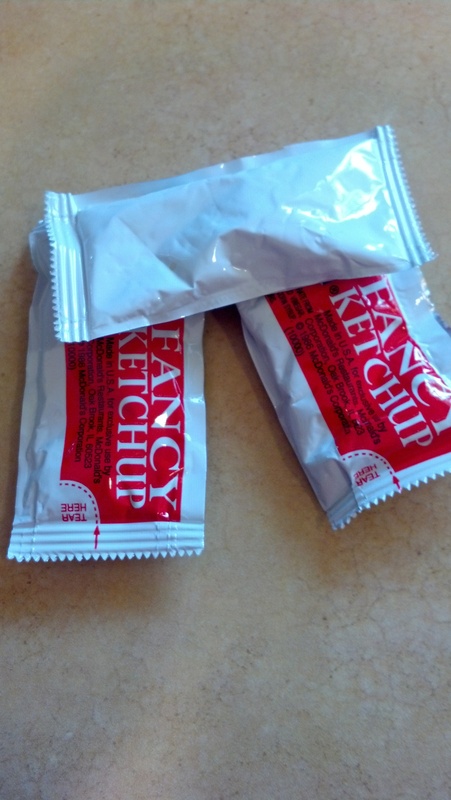 After placing my order, I leaned back against the condiment table to wait. Sensing movement to my left, I looked down and noticed a young girl — perhaps five or six — eating ketchup out of one of the small circular containers provided by the restaurant chain. In the first nanosecond I smiled, thinking that such a picture was cute. But almost instantly that feeling changed from humor to sadness as I looked closer and noticed the streaks of dirt on the girl’s face along with her somewhat tattered clothing. I quickly realized that this young girl was likely homeless, and that she was eating the ketchup from this container not to be funny, but because she needed to do so. Hardly a meal of consequence, as I think we can all agree. After getting my meal and sitting down to eat in the crowded restaurant, I noticed the young girl and her mother and sibling seated at another table with a large stroller filled with their possessions. Despite the crowd in the restaurant, the family was sitting alone with several empty seats surrounding them. To me, this is a powerful example of the need to capture the billions of pounds food that we waste annually in this country — much of it high in nutrition content — and redistribute it to those in need. Developed countries like the US and the UK are blessed with a vast food supply. That excess leads to a culture of abundance regarding our food — a culture that leads to a lot of waste. In the US, that waste is in the 30 to 40% range, and we are not alone. A study by the UK’s Waste and Resources Action Programme (WRAP), for example, noted that 60% of the food wasted in the UK could have been eaten if properly managed. Further, WRAP noted that about 25% of all avoidable food waste was discarded in a whole/unopened state. These statistics raise an important point. In the same way that we need to be more open to seeing the hunger that exists in our communities, we also need to be more aware of the food that we waste. In other words, we need to “see” its value. That value involves feeding the hungry, and doing so with high-quality calories that promote health and wellness. Critical side benefits to the environment result as well, including a reduction of greenhouse gas emissions associated with wasted food sent to landfills, and a reduction in the consumption of resources that would otherwise go into producing that wasted food. Seeing the need for healthy food in our communities is the first step; the second involves action — changing our behavior to value our food, reduce waste, and redirect excess food to those in need. Next Next post: Got Recycling? Need More!